Snow seems like a distant memory and the sun has been shining fairly regularly in Boston. Do I dare say that summer is here? Well, our family hit the beach at the end of May and it sure felt like summer was already in full swing. The Vision Council hosted an informative webinar with their optometrist advisor, Dr. Dora Adamopoulos, that I got to attend before our big beach trip. It was a timely reminder about eye protection in the sun. Did you know that 1 in 4 Americans never or rarely wear sunglasses? Did you also know that your eyes can get sunburned? The most shocking fact to me was that children get three times the UV radiation as adults! I used to think that children’s sunglasses were just for fashion and general adorableness, but I came to realize that it serves an important safety function, too! (All babies will be getting sunglasses from me!) I am pretty good about putting sunscreen on my daughter, but I’m not as vigilant about sunglasses and hats. 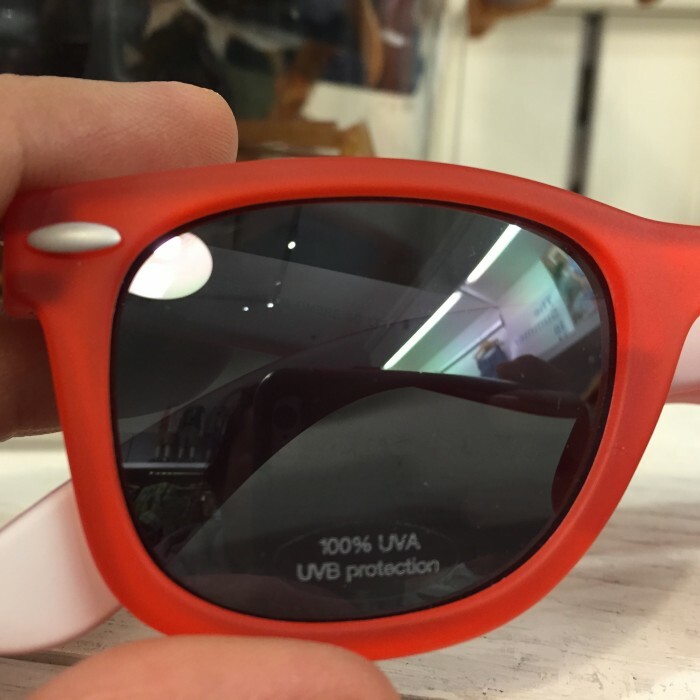 Make sure to check for the UVA/UVB protection sticker – sunglasses need to have both. Look for the UVA/UVB protection sticker on all sunglasses. I found these cute red children’s sunglasses at the Gap for $12.99! Anti-reflective and polarized lenses help to reduce glare. Impact resistant ones are great for kids. However, those things alone are not what will protect your eyes from UV rays – you need to have the UVA/UVB protection. Lens color does not equal UVA/UVB protection – dark lens without UVA/UVB protection is harmful because it can cause your eyes’ pupils to dilate and exposes your eyes more. If you are concerned about color distortion, opt for grey or light brown lens colors/tints. Start your kids young on sunglasses and be an example! 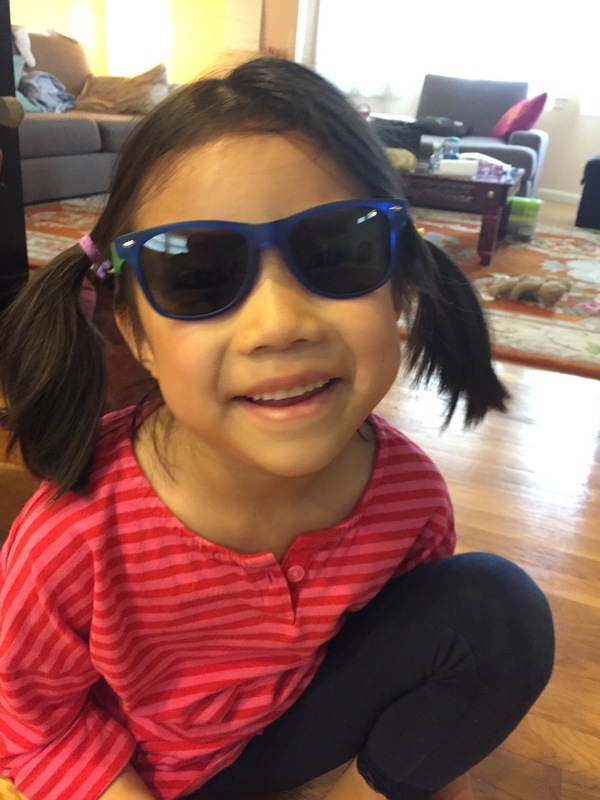 I wear my sunglasses all the time (even on cloudy days and in the winter) and will be encouraging my daughter to do the same. Plus, she looks so cute in the glasses! Thanks Vision Council for these cool One by Optic Nerve Sunglasses! I hope your summer has kicked off to an exciting start! June 27th is National Sunglasses Day and I hope you will show off your #sunglassselfie!